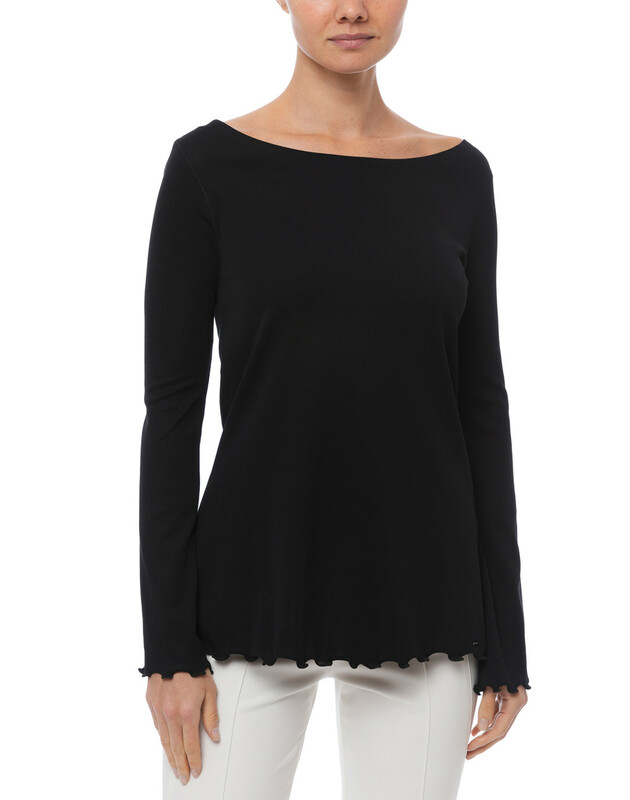 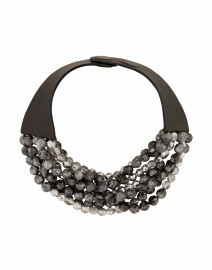 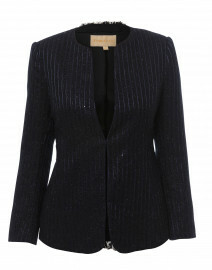 This black top is a showcase of Marc Cain's mastery of modern elegance. 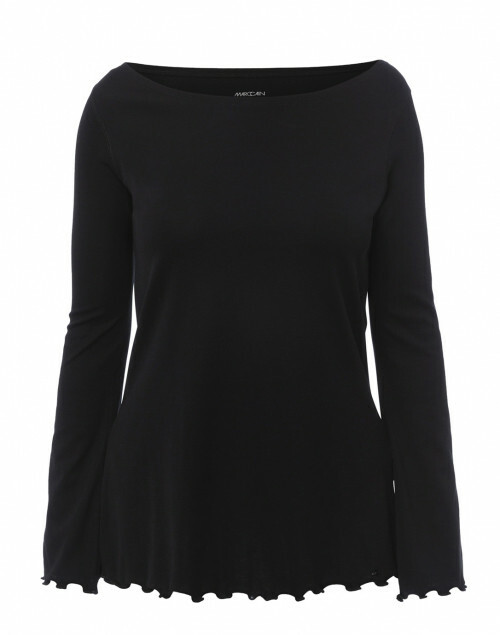 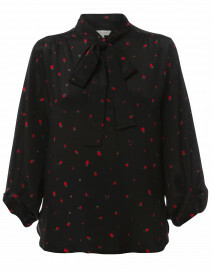 It is shaped with long sleeves, a boat neckline and detailed with a ruffle hem. 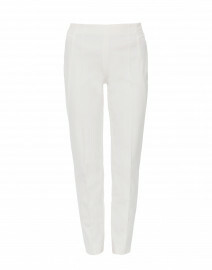 Style it with black pointed heels and white trousers for a chic, sophisticated look. 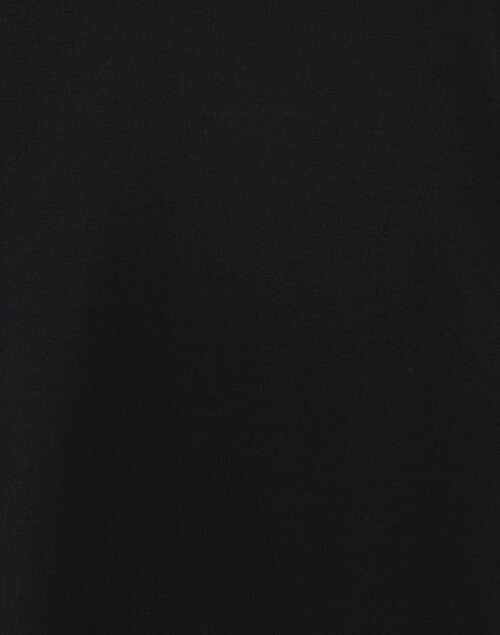 Length 24" 24" 24.5" 25" 25.5" 26"
Hip 34" 36" 38" 40" 42" 44"
Sleeve Length 22.5" 23" 23.5" 23.5" 23.5" 23.5"